Super Ball of Yarn Sale! Starts Saturday February 6th 10am and ends Sunday February 7th 11:59PM. There will be a list of sale yarns on our website starting tomorrow am. 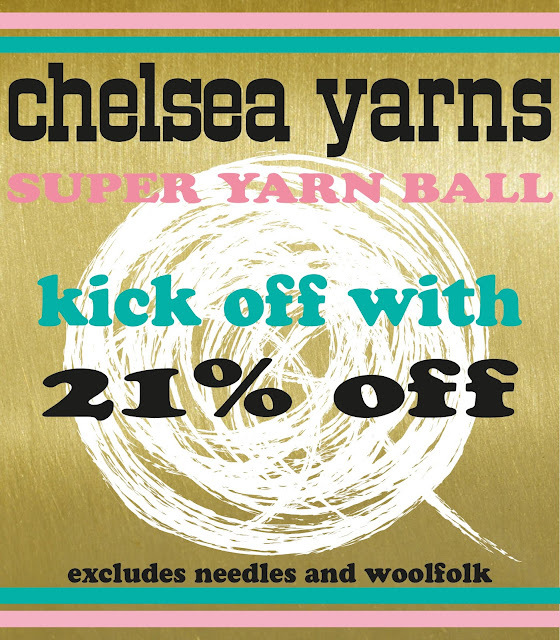 Those select yarns will be 21% off. There is an additional savings of 21% off yarns already on sale online. 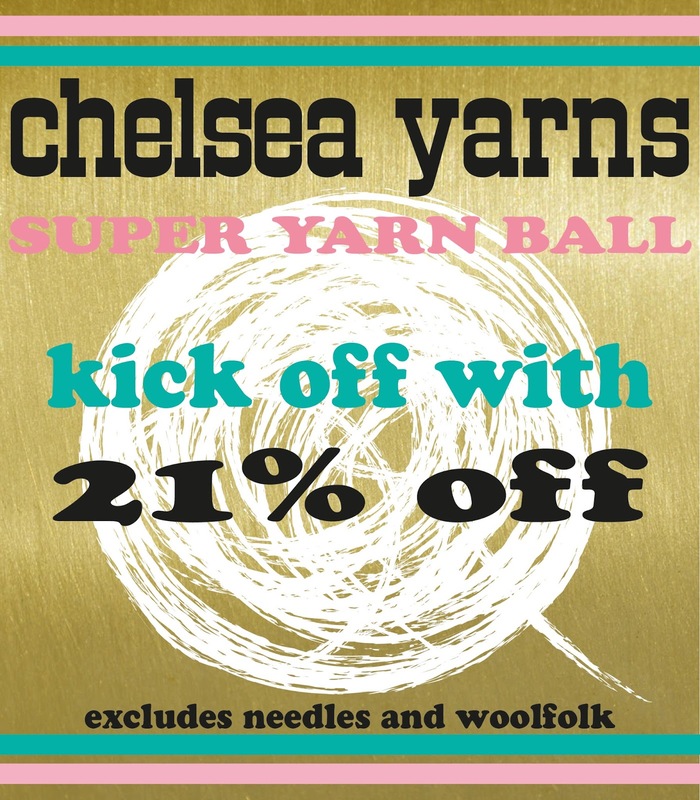 Super Ball of Yarn Sale! Saturday February 6th 10-5pm and Sunday February 7th 12-4pm. excludes Woolfolk, needles, notions and select yarns. Most chunky yarns 30% off. All other yarns 21% off. Huge savings with some yarns up to 80% off. Not valid on reward cards. We are unable to wind sale yarn.